Homeowners often gasp when they are given a painting estimate for thousands of dollars from a professional painting contractor. It’s not always a case of your professional painter being priced too high, sometimes it’s a case of the customer not fully understanding what’s actually involved on the part of the painter. To make the problem worse, there are many painters masquerading as professionals, that really shouldn’t be and their estimates are thankfully really easy to spot, we’ll explain how. Have you ever received a bid for a painting project scratched out onto a piece of paper? Was the scope of work and materials list pretty vague? Professional Painters don’t do this. When a professional painter provides you with his/her painting estimate it will probably be on company letterhead, and more than one page. You’ll receive a thorough description of the work involved, the materials being used and any and all requests or special considerations you’ve asked for in writing. Having a written contract and description of the work being performed protects both parties. It’s not cheap however to have proper paperwork drafted by a legal professional. If your painting estimate looks professional, it’s a good first indication that the painter behind it might be professional too. If you received your estimate on a napkin, with a handwritten quote and misspelled words, it might be a clue to keep looking. Licensing and proper insurance both for employees and the projects a painter works on are very expensive business expenses we must pay as professionals. You’d think this would be obvious but make sure the painting estimate you’ve receive has come from a licensed and insured painter. Believe it or not, many painters have neither. What if the painter accidentally damages your neighbors fence with a falling ladder, or worse their car? Do you think your unprofessional fly by night painter will be equipped to handle that situation financially? It’s unlikely. 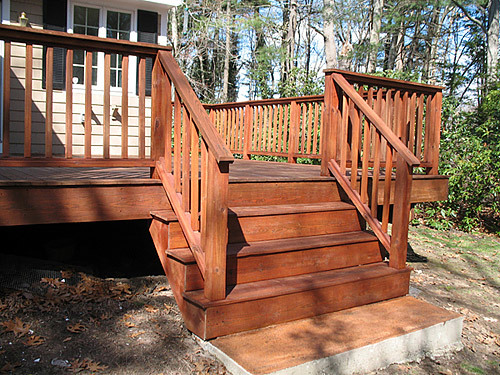 There are many different grades of paint from many more different paint manufacturers. They are not all created equal. This is why professional painters work with proven brands from paint manufacturers that have a solid reputation and stay on the cutting edge of painting technology. We’ll tell you exactly what brands and specific paints we’re using for your project. Some contractors will tell you that you’re getting high grade paint but is it really what’s going on your walls? A professional painting contractor will be able to prove it. Does Your Project Involve Lead Based Paint Removal? This is an important one and it’s a little bit deceiving because while some contractors will offer a warranty, they simply just won’t service it. This is especially so with the lowest bids. These painters under value their time because they need the next dollar quick. It’s not a guarantee that they’ll be around in a year to fix that flaking, peeling paint they’ve left you with. A professional painter will offer you a rock solid warranty, in writing and while that’s still not a guarantee you’ll just have to look at the contractors reputation, the length of time they’ve been in business and how they conduct themselves to make that determination for yourself. Probably the most important part of any painting project. The level of prep work your painter puts in will determine the visual aesthetics of the final product. If your estimate doesn’t account for detailed prep work and an explanation of what your painter will be doing than keep looking. 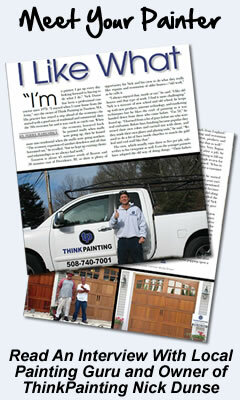 Professional painters put great emphasis on their prep work. While professionals offer a warranty it certainly doesn’t mean they want to deal with warranty claims. They take every effort to make sure your surfaces are prepped properly and the paint goes on smoothly. Another part of the prep work is making sure your property is protected. This means all areas not meant to be painted need to be covered and protected. This involves the careful placement of masking tape, drop clothes, and other “paint shields” we have at our disposal. We can cover floors, furniture, appliances, flower beds, and more. A good chunk of your estimate will account for the time and materials needed to prep your project for paint. This is important and you’ll want to make sure you are getting what you’re paying for. This is true of exterior paint jobs. Spending the extra time and money to get the job done well will ensure a more enduring paint job and fewer repainting cycles during the life of your home. So make sure that you hire an experienced contractor with a great reputation that uses quality paints. 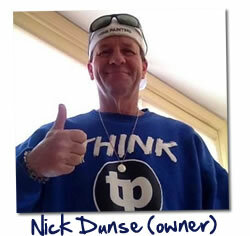 Nick has been painting homes in this area for over 30 years and has experience with many products, and knows which ones will provide the best results for your home. See what our satisfied customers have to say! 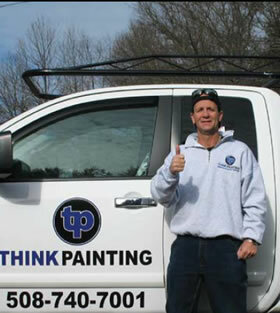 THINKPAINTING is a highly regarded painting contractor, respected throughout Southeastern Ma from Boston to Cape Cod for outstanding dependability and excellent quality. Dont throw your money away hire a professional painter do the job right and get a written warranty . 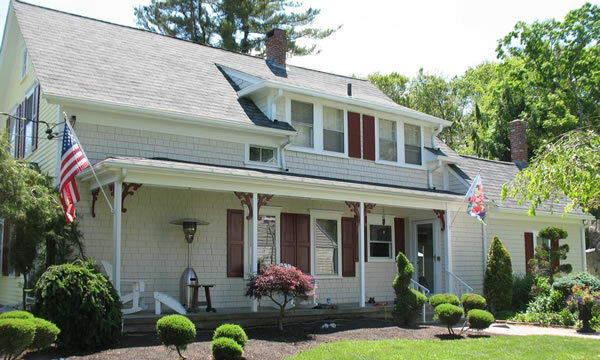 Check references ask the painting contractor if you can go look at some homes he has painted a few years back see how there paint jobs are holding up.